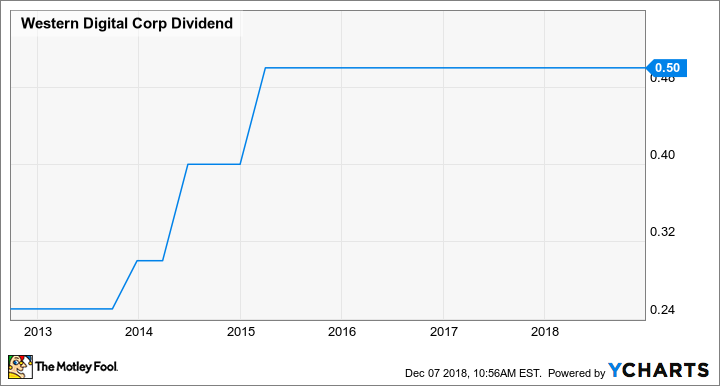 Is Western Digital's Large Dividend Yield Sustainable? The storage specialist pays a generous dividend, but is it too good to be true? 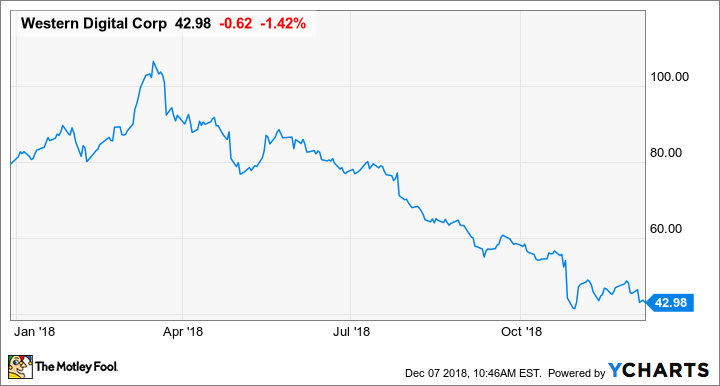 This hasn't been a great year for investors in computer storage specialist Western Digital (NASDAQ:WDC). The decline in the company's share prices has led to a significant increase in the company's dividend yield, as that figure is calculated by taking the company's annual dividend payouts and dividing it by the share price. As of a recent check, the company's dividend yield was about 4.66%. One question you might be asking yourself is the following: Is Western Digital's current dividend sustainable? The company currently doles out a quarterly dividend of $0.50 per share, translating into $2.00 per share on an annual basis. 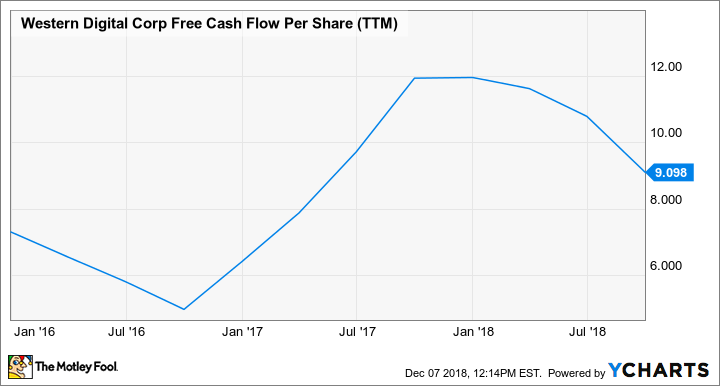 Over the last 12 months, the company has generated nearly $9.10 per share in free cash flow, which means that it rakes in more than enough cash to be able to cover the current dividend multiple times over. WDC Free Cash Flow Per Share (TTM) data by YCharts. WDC Dividend data by YCharts. What's interesting to note, though, is that the company is actually funneling a significant amount of cash into share repurchases, having recently announced a $5 billion share repurchase authorization back in July. It doesn't seem to be the case, then, that Western Digital can't allocate more of its free cash flow to the dividend, but it's instead choosing not to and would rather give back that cash another way. While Western Digital's current dividend seems more than sustainable -- the company's free cash flow generation would have to drop a lot for investors to even begin to worry about a dividend cut -- its track record indicates that consistent dividend growth isn't a top priority. That's not necessarily a bad thing, but it's something to keep in mind if you're an income-oriented investor who likes to own companies that regularly give their shareholders dividend raises.